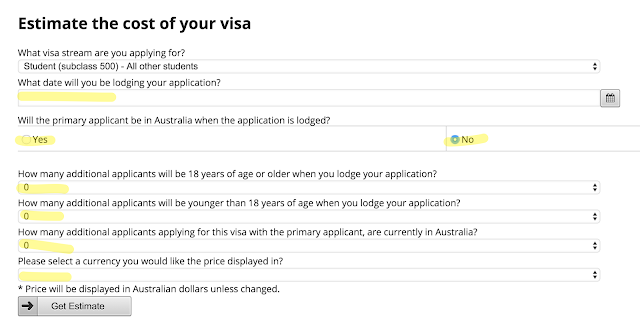 Will the primary applicant be in Australia when the application is lodged? 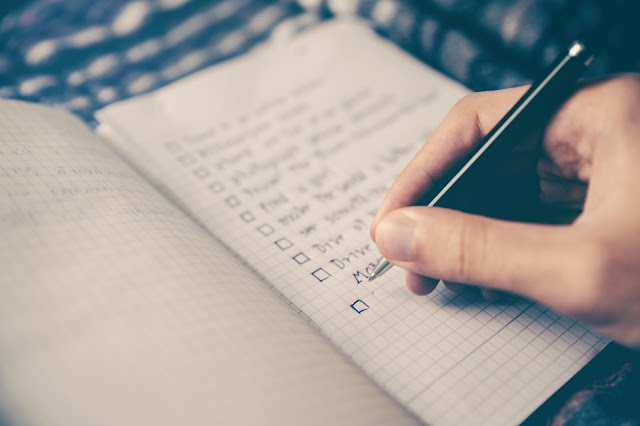 How many additional applicants will be 18 years of age or older when you lodge your application? How many additional applicants will be younger than 18 years of age when you lodge your application? 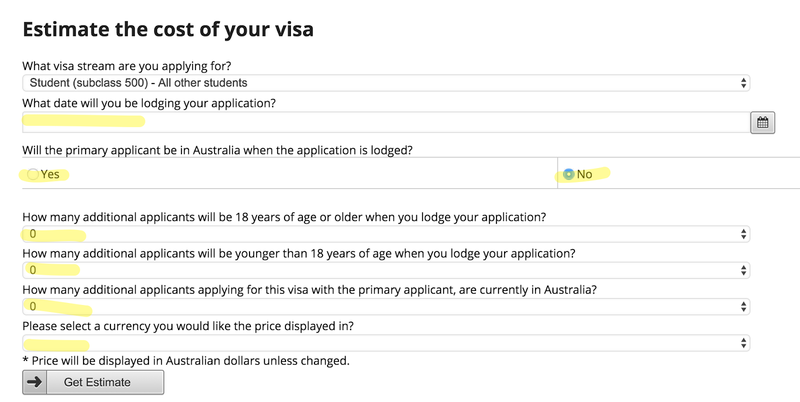 How many additional applicants applying for this visa with the primary applicant, are currently in Australia? Please select a currency you would like the price displayed in?